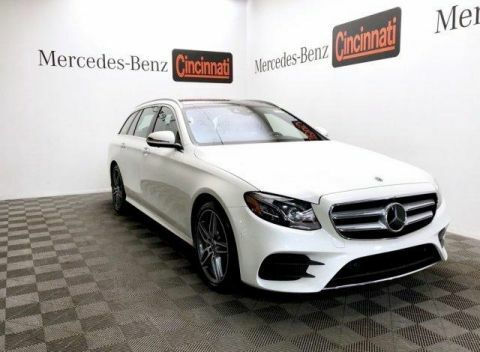 Only 4 E 450 4MATIC® Wagon models left in stock! 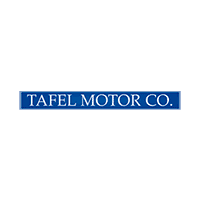 New vehicle pricing includes all offers. Tax Title and Tags not included in vehicle prices shown and must be paid by the purchaser. While great effort is made to ensure the accuracy of the information on this site errors do occur so please verify information with a customer service rep. This is easily done by calling us at (502) 532-8899 or by visiting us at the dealership. 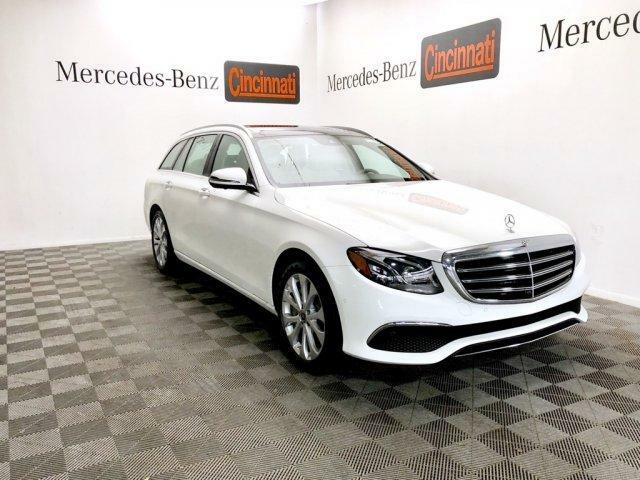 Heated Seats, Sunroof, 3rd Row Seat, NAV, Full-Time 4MATIC® All-Wheel Drive, Power Liftgate, HEATED STEERING WHEEL, EXTERIOR LIGHTING PACKAGE. Polar White exterior and Macchiato Beige/ Espresso Brown MB-Tex interior, E 450 trim. 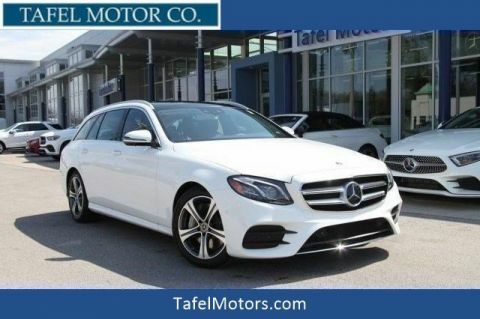 Third Row Seat, Navigation, Full-Time 4MATIC® All-Wheel Drive, Power Liftgate, Turbocharged Mercedes-Benz E 450 with Polar White exterior and Macchiato Beige/ Espresso Brown MB-Tex interior features a V6 Cylinder Engine with 362 HP at 5500 RPM*. PREMIUM PACKAGE KEYLESS GO® Comfort Package, KEYLESS GO®, Hands-Free Access, Blind Spot Assist, Heated Front Seats, SiriusXM Radio, 6-month All Access plan trial, Inductive Wireless Charging w/NFC Pairing, Burmester Surround Sound System, PARKING ASSISTANCE PACKAGE Parking Assist Code, PANORAMA ROOF, EXTERIOR LIGHTING PACKAGE Lighting Package Code, Adaptive Highbeam Assist, LED Intelligent Light System, WHEELS: 18 TWIN 5-SPOKE, HEATED STEERING WHEEL. Edmunds.com explains . the E-Class continues to provide top-notch technology features and an impeccably crafted cabin. 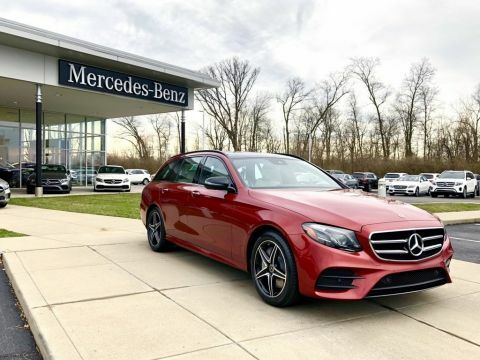 Whether you're after stately luxury, face-flattening performance or both, the E-Class' continuous improvements help make it one of our favorite midsize luxury vehicles..
We provide shopping experiences built around a high standard of personalized service. You deserve the very best, so we're willing to work hard to earn your business.